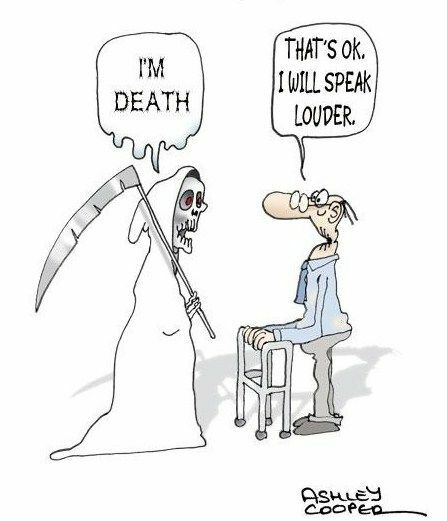 Funny cartoon - I'm death. That's ok. I will speak louder.